My favorite manga is tied between Detective Conan, Vampire Knight, Black Butler, Fruits Basket, and another which has a name i cant remember at the moment. My favorite Vocaloids are GUMI, KAITO, and Gakupo. My favorite season is fall since I live in a place where we have extreme heat. Sorry it took me so long. I did not see this at all. GOMEN NE! *bows* Welcome though! I'm Suzu, one of the Admins (which you've probably noticed lol) I LOVE fruits basket! That was amazing! AND HONEY SENPAI IS SOO KAWAII! 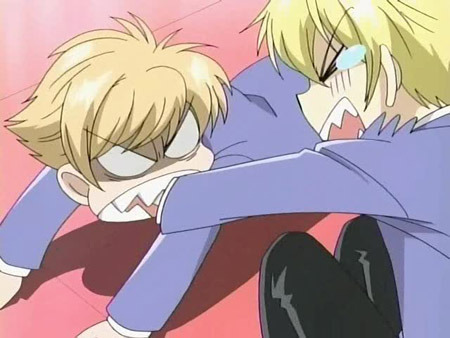 But my favorite is Kyoya. He's mah type lol. Wait. . There IS no Ikuto in Furuba. . . No. . WAIT. . I GET IT! It was a play on words as to not spoil it, right? Exactly! Yes it was a play on words ^.^ I was trying not to spoil it for anybody. Hi Ren! Nice to meet you.